You will find us in the heart of Cardonald. We have been here since 1906 and remain very much alive and active in the local community. Overseen by the Sisters of Nazareth, this house welcomes all seniors from religious and non-religious backgrounds. 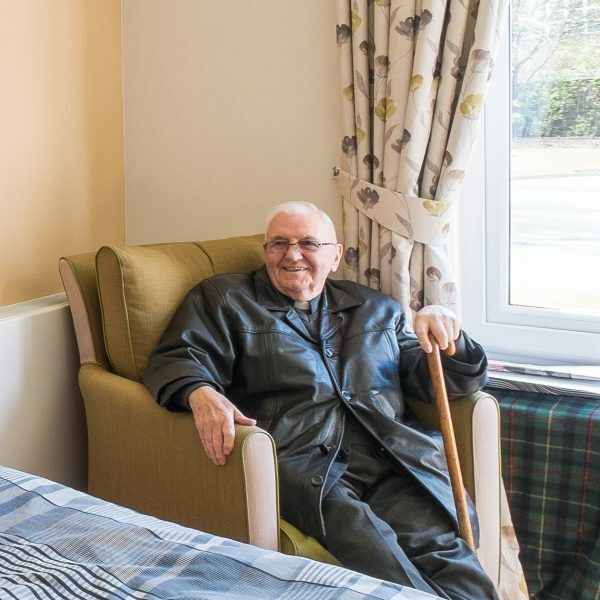 Nazareth House Glasgow is a purpose built care home registered with the Care Inspectorate to care for 70 residents requiring residential care. 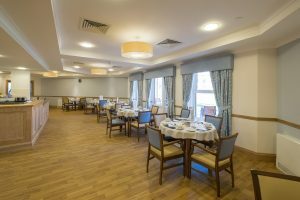 We provide a full staff, available 24 hours per day, able to offer health care services and support to our Residents whenever they are needed. Our primary concern is the spiritual and physical well-being of each Resident. 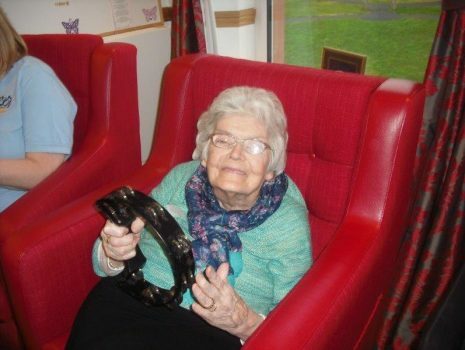 We also offer Respite Care, Palliative Care & Dementia Care. This stunning home opened in April 2015 and is located behind the original Nazareth House on Paisley Road West. We boast lovely, spacious and light lounges with restaurant style dining facilities; our menus are very varied and cater for all tastes. 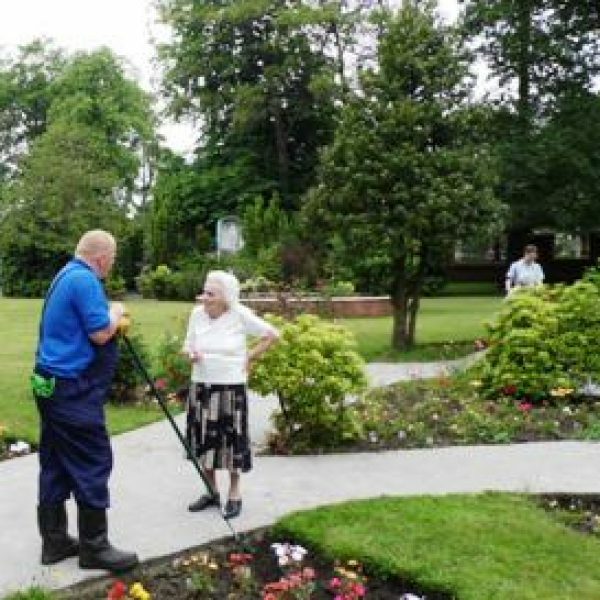 It has beautiful fully accessible grounds and gardens and to further enhance the residents well being. Our Friends of Nazareth are a group of volunteers who are dedicated to improving the lives of the Residents in our Home. The volunteers organize various fund raising activities throughout the year to provide new equipment for our Home. 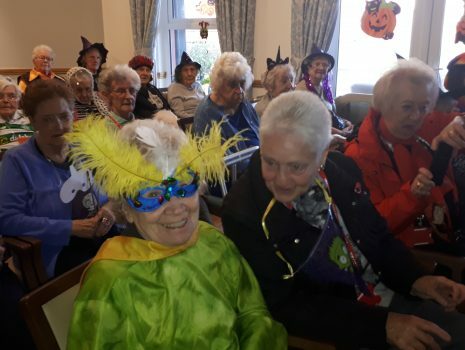 Our Residents become involved in these community activities at a level that suits them. 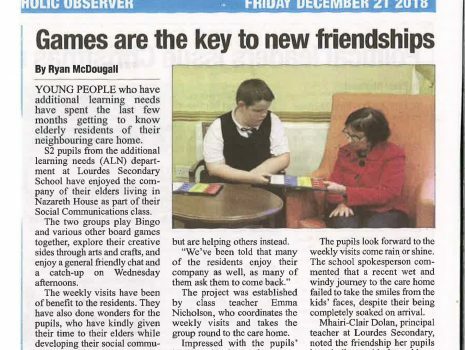 Children from Lourdes Secondary school came to visit and play games with our residents.